Readers across the world continue to Love the Baby and with every live appearance come repeated requests for a recording of Steve's highly energetic and hysterical reading of the story. Just in time for Christmas 2009, the CD has arrived! 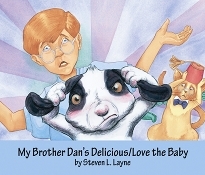 Enjoy Steve's narration of his bestselling "bunny" tale along with his narration of another fan favorite, My Brother Dan's Delicious! Don't forget to order the picture books to read along with the CD narration! 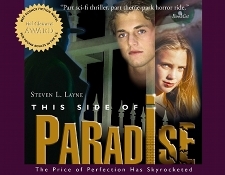 This Side of Paradise is Steve's most award-winning title to date. The 2009 holidays may be a little more suspenseful for fans of this thriller as a 5 CD set is released of Steve narrating the page turning tale. Be sure to pick up a copy of the book to follow along! "Dr. Layne�s energy, experiences, and passion hooked us all! Our entire community anticipates his future visits."